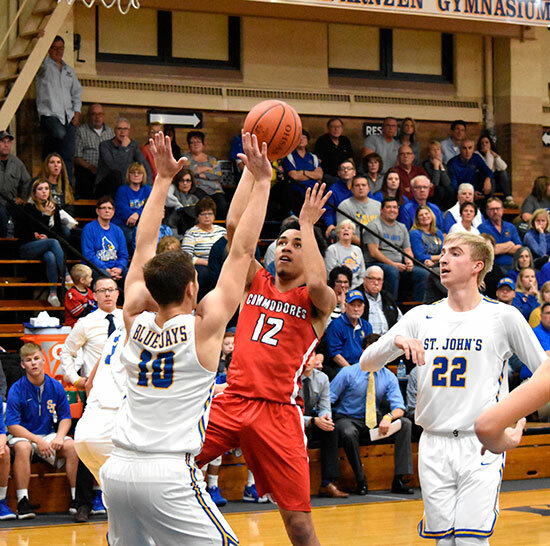 DELPHOS — St. John’s started their season on a positive note Saturday when they defeated the Commodores in the season opener. Jared Wurst led the Jays with 23 points as they marched to a 52-44 win over Perry. The Commodores jumped out to a six point lead within the first minute of the game and caught St. John’s on their heels. Jamal Whiteside of Perry was the go-to guy early and helped his team extend their lead to eight before a three by Wurst got the Jays rolling. 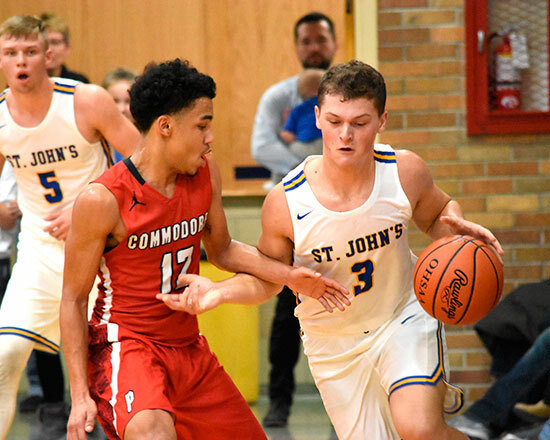 St. John’s continued to battle in the opening quarter and tied the game on a shot by Issac Fairchild. Things remained knotted-up as they moved on to the second quarter. The Jays poured it on early and led by as many as eight before the half. 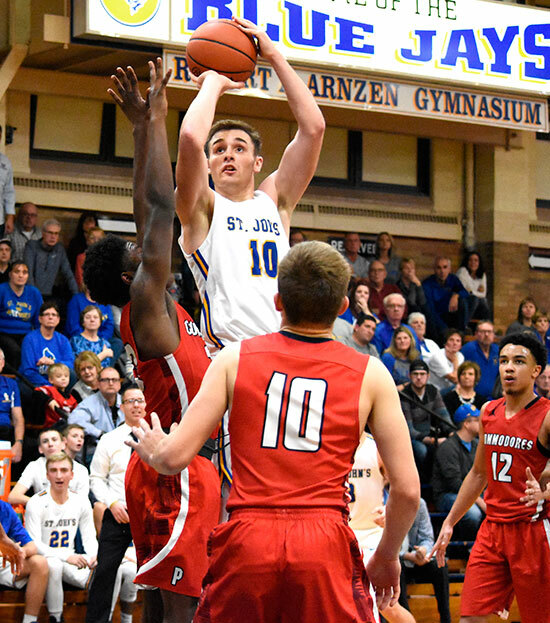 Wurst continued his impressive performance and nailed three triples in a row as St. John’s headed to halftime with a 29-22 advantage. Perry entered the second half with more intensity and slowed St. John’s momentum. They cut the Blue Jay lead to four and looked for a spark midway through the third but great shooting from the foul line gave them an eight point cushion heading into the final quarter. A three early in the fourth by Whiteside and another by Chazz Jackson helped Perry come back and tie the game at 40-40. Wurst had a steal and took it coast-to-coast to give the Jays the lead once again with 4:00 left in the game. Brady Parrish connected on two straight shots to give St. John’s a 50-44 advantage with 1:08 remaining. After a turnover, the Commodores were forced to foul and sent Lucas Metcalfe to the line where he went 2-for-2 and sealed the game for the Blue Jays. St. John’s will play USV on Tuesday.